refer a friend - Dr. William W. Brown, Jr.
One of the greatest compliments that our patients can give is the referral of their friends and family. We value your loyalty and appreciate it when you refer new patients to our practice. If you have friends and family that you think we might be able to serve please complete the form below. 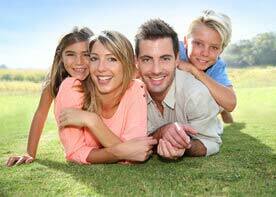 We will send them information and an offer to join our dental family. As always, any patients you refer who become patients of our office enters you in out Patient Referral Program and brings you one step closer to VIP status.